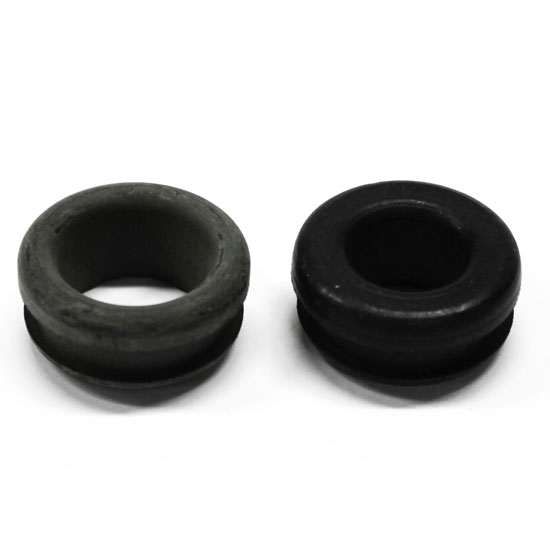 A pair of grommets for Big block applications. Includes grommet for PCV valve and valve cover to air cleaner elbow grommet. Grommets for Push-In Oil Breathers, 1-1/4 Inch O.D., 1 Inch I.D. Grommet for Push-In Oil Breather, 1-1/4 Inch O.D., 3/4 Inch I.D.